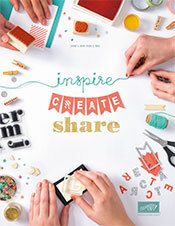 Here is a sneak peek of the cover of the new Stampin Up catalog. Take out your reading glasses or magnifying glass and see all the fun stuff and see some of products seen the cover of the new 2014-2015 catalog. Wait until you see the all the new and fun stuff inside once it goes live I will post the new catalog online.